Many depression hotlines are available for you to call right now. Don't be alone with your thoughts and feelings any longer. There is help for you. Take a minute to look over the following phone numbers for crisis support. All of them are toll-free numbers. This means you don't have to pay for the call, and it will not show up on your phone bill. For those needing to discuss suicidal thoughts and behaviors, you can call the suicide hotline. They offer support for people in every state and can direct you to more appropriate services if necessary. They offer resources for specific mental health issues, LGBTQ specific issues, bullying, and assistance for those who may know someone who is suicidal. You can also send them an email if your question is not urgent or time sensitive. This is a great site for those who are looking for local resources within their state. To reach a trained professional call 1-800-SUICIDE. When you dial the number 1-800-273-TALK, your call is automatically routed to the nearest crisis center. This network of crisis centers works together to provide high quality crisis intervention, psycho-education, and helpful resources. Your call is completely confidential, and centers are available 24 hours a day and seven days a week. They also offer the same services for those who are hard of hearing, as well as for Spanish-speaking individuals. There is also a chat feature available on the website for those who prefer to instant message. This unique hotline connects suicidal or distressed teens to other adolescents who have been trained in crisis response. Teen Line is available from 6 pm until 10 pm PST for phone calls, and their number is 310-855-HOPE. You can also reach them nationwide by calling (800) TLC-TEEN. You can text TEEN to 839863 from 6 until 9pm PST if you prefer texting. You can also reach them via email if your question is not time sensitive as they answer emails in the evening. Teen Line also provides helpful message boards and resources if you have more general questions. If you are experiencing symptoms of postpartum depression, you can call 1-800-PPD-MOMS, or email info@hopeline.com. PPD Moms is a great website that offers resources, helpful explanations, and connections to professionals who can provide help. The site thoroughly explains postpartum depression, various treatment methods, and current research. The Veteran Crisis Line provides confidential free services that are administered by the Department of Veteran's Affairs responders. They can be reached through phone by calling 1-800-273-8255, then pressing 1. Texts can be sent to 838255 24 hours a day, seven days a week, and you can also chat with someone through the website. Services are also available for those who are hard of hearing. 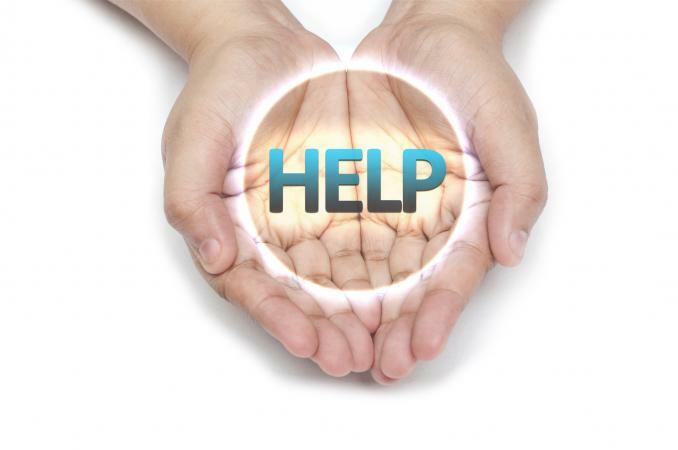 Those who reach out can expect to speak with a caring, well-trained individual who can assist with finding resources, crisis intervention, and support. This helpline offers assistance to those who are in abusive relationships, are suicidal, have been sexually assaulted, are being bullied, or are thinking of running away. This hotline is available in the United States and some parts of Canada, and their website offers nearly 100 available language options. To call, dial 211, and you will be provided with free confidential services that can connect you to appropriate resources, counselors, safe houses, and support groups. This hotline provides free, confidential services for young people struggling with depression and suicidal thoughts. You can reach them by calling 1-877-968-8454 or accessing their online, anonymous chat through their website. You will speak or online chat with a trained volunteer who can provide support and connect you to resources. This site also offers support to friends and loved ones of someone who is suicidal or has already committed suicide. This non-profit assists youth who are homeless or live in an unsafe home environment. By calling 1-800-999-9999 or emailing them, you can get connected to helpful resources, such as safe shelters, mental health treatment, van pickups, and transitional housing. Their crisis line provides youth with support and helps them create an immediate plan of action. The Trevor Project provides crisis intervention and suicide prevention services to LGBTQ people ages 13 to 24. By calling 866-488-7386, you will have access to a professional counselor 24 hours a day, seven days a week who can help you process what you are feeling and provide support as well as resources. You can also reach a counselor any day of the week between 3 pm and 10 pm EST through their chat located on their website in the top right corner. If you prefer texting, feel free to text TREVOR to 1-202-304-1200. Texting is available Monday through Fridays from three to 10pm EST. If you are looking for an e-mail depression hotline or local support numbers to call, go to the Befrienders Worldwide website. They are made up of a collection of volunteers worldwide who provide non-judgmental support to those who are suicidal. Their website provides access in different languages and has a ton of helpful resources for people who feel suicidal and their loved ones. For those who are in crisis and are not comfortable or able to speak on the phone, text HOME to 741741. The Crisis Text Line is available in the United States and provides those who are in distress with support, referrals, and resources. The responders are trained crisis volunteers who are available 24 hours a day and seven days a week. This is a great resource for kids who are thinking about running away or already have. Worried parents can also connect to National Runaway Safeline for support and resources. Trained volunteers respond to your calls, emails, or chat and can provide you with support and resources and help you establish a plan. Volunteers can be reached 24 hours a day and seven days a week by calling 1800-RUNAWAY, by live chatting through the website, or by emailing them. If you're not fond of calling on the phone, some support centers provide online help. You can send a message through the website or send an e-mail to the address provided. A trained professional will usually answer your e-mail within the timeframe the website indicates. The following have online chat and email options. Boys Town: This is an email option for youths and their parents. Turnaround time is usually 24 to 48 hours. Now Matters Now: Speak with a volunteer or professional counselor about suicidal thoughts. E-mail or online depression hotlines are great for non-urgent situations. If you have an ongoing problem and you don't need immediate assistance, an e-mail may work for you. However, if you are going through a crisis, a phone call can help you right when you need it. Another precaution with e-mail is it is not as confidential as using the phone. You never know who may read your e-mail, and that person may not be under the same confidentiality agreement as a counselor. Additionally, someone you know may read your email and see what you wrote to the support center. Don't wait to see if you will get over what you are going through right now. You don't have to do this on your own. The first step in feeling better is picking up the phone and calling one of the above numbers. Reach out and get help from someone who will listen and understand. If you are having thoughts of harming yourself, there is no question as to whether you should call a depression hotline. If you are not having suicidal thoughts, you may wonder if how you feel warrants a crisis call. It doesn't hurt to call, and it doesn't cost anything, so pick up the phone and make the call. No one will judge you, and you won't feel like you are wasting anyone's time with your problems. Many of the counselors are volunteers, so they do this because they enjoy helping others, not because they are being paid to do it. Depression hotlines usually have trained counselors ready at a phone center to take your call. You can call any day of the week, at any time during the day or night. These counselors will take as much time as you need to talk about what you are going through. They are skilled at helping you through problems and making you feel better about your situation. After calling one of these support centers, the counselor may refer you to additional help. Crisis intervention is helpful, but you may have some residual effects from the crisis requiring follow up. 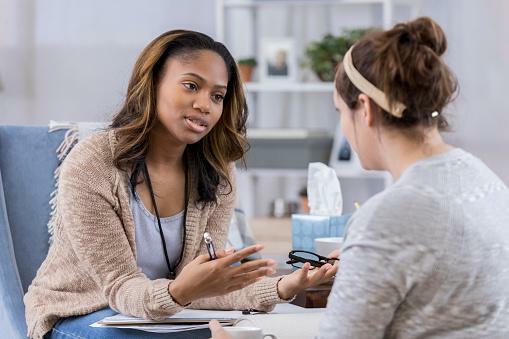 Since you won't be able to call back the same counselor, it may be a good idea to find one locally so you can start therapy. If you are not comfortable with therapy, you can always call a crisis center again for more support if you need it. Don't ever think you can't call a support center more than once!